Rachel Seiger is excited to be performing and debuting with And To To Theatre Company. She is currently performing in an immersive theatre piece called Rausch with The Catamounts and The Control Group. Rachel is originally from Cleveland, Ohio and moved to Germany after receiving her B.A. in Theatre at The Ohio State University. Rachel has performed on several stages both in Israel and Germany and is excited to be back in the States to collaborate with local artists and companies in and around Denver. Rachel moved to Denver in Spring 2017 and first debuted in The Silent Princess with the Bitsy Stage. Rachel has also made several appearances in theatre festivals with Curious Theatre. When she is not performing in Rausch or tending to her garden, you can find Rachel performing improv in Denver at the Bovine Metropolis theatre. Maggy Stacy is a Denver based actor, a coach and teaching artist with DCPA Education, and a narrator for the National Library of Congress. Her background includes movement and improvisation. She received a Henry Award for her role of Lizzy in Rabbit Hole, and a nomination for Honey in Who's Afraid of Virginia Woolf. Maggy is grateful for this rich and vital theatre scene, and continuing artistic collaboration. Jeff is very excited to be involved with this amazing night of live theatre. He is an actor, set builder and designer for Denver area theatres. He would like to thank you for taking the time to support live theatre with a terrific mission. As always, all my love to Julie and our Fur Babies. Rekha can mostly be found playing the piano and singing her little heart out at numerous venues such as Dazzle, the South Boulder Social Club, and La Cour. In addition she is the music director for the Bitsy Stage, teaches, does energy sessions and works on her own compositions as well as a novella. In reality she would like to find a little house near a creek and channel her inner Winnie-the-Pooh. Till such day, she is delighted to play the Cat In The Hat. Zoe is delighted to be given the opportunity to participate in the Play Crawl this year. Recent credits include Olive Ovstrosky/Putnam County Spelling Bee and Liesl in the Sound of Music. Later this summer she'll be playing Angel in the Front Range Theatre production of Spamalot. She also recently was awarded the Freddie G Award for Student Direction at JTF West in California. She is an eight grade theatre major at Denver School of the Arts. Meredith is honored and thrilled to be returning to The Play Crawl, after performing in Tea for Ewes, in 2015. Other Colorado favorites include Our Town and Ruthless (Creede Repertory Theater), Circle Mirror Transformation (Curious Theatre Company), The Cripple of Inishmaan and A Christmas Carol (Miners Alley Playhouse), and 3600 and The Effects of the Gamma Rays on Man-in-the-Moon-Marigolds (The Three Leaches). A California native, Meredith received her BFA in Theatre Performance from the University of Colorado, Boulder (GO BUFFS!!). Michael began attending the theatre as a small child while growing up in Moscow, Russia. Upon moving to Grand Junction, CO, he took part in high school productions as a stagehand with sporadic appearances on the boards. After a nine-year hiatus, Michael returned to the theatre in 2011, and has been working around Denver nonstop ever since. He most recently appeared as Brother Felix in Incorruptible and Max Garrett in Becky Shaw at Coal Creek Theatre. Other favorite roles include Ali Said in And Toto too's regional premiere of The English Bride, Jonathan Brewster in Arsenic and Old Lace and Bo Decker in Bus Stop (Boulder's Upstart Crow Theatre), and Dr. Rufus Griswold in Evermore (Byers-Evans Theatre Company). When not acting, Michael makes laser optics in Boulder. Lauren was very pleased to direct at her very first play crawl in 2016, now she is very happy to be a part of this amazing fundraiser for the second time. Lauren was born and raised in Colorado, she moved from Pueblo to Denver right after she received her BA from Adams State University. Local acting credits include Lee from The Never Summer(And Toto too Reading Series), Chorus from Medea(Denver’s Dangerous Theatre), and Lady Nurse in Euphorium(5280 Film Company). She will soon make her debut on Invaders from Planet 9 with Arts in the Open, opening in September. Lauren would like to thank Susan and Company for the amazing opportunity, and to you, the audience. Thank you all for your support by watching all of these stories come to life!" John is excited to be a part of his second play crawl. He has most recently been seen as Happy in Death of a Salesman at The Edge, and Footnote/Fetus 2/Samuel in Smokefall at Benchmark Theatre. Erik Thurston graduated from Adams State University with a BA in Theatre and Communication Arts and has been acting in the Denver area since 2011. Some of his credits include, The Intelligent Design of Jenny Chow Vintage Theatre, Mud Blue Sky (The Edge) and Night of the Living Dead (Paper Cat Productions). He has also been involved in the children shows at Mines Alley Playhouse. Julie received her B.F.A. in Theatre from Emporia State University. Julie is delighted to return to the Play Crawl! She has been seen recently around Denver as Mrs. Frank-The Diary of Anne Frank, Annie Sullivan-The Miracle Worker, Lenny McGrath-Crimes of the Heart, and Elizabeth Proctor-The Crucible. Some other roles Julie is fond of are Blanche Dubois-A Streetcar Named Desire, Lady Macbeth-Macbeth, and Belinda/Flavia-Noises Off. Thanks to Susan for all you do. Jeff, you’re my forever favorite. Love to our fur-babies. And thanks to You, the audience, for supporting live theatre. Veronica Straight-Lingo is honored to once again be joining Play Crawl, one of her favorite events all year! She is currently Assistant Directing for Lost and Found productions of Elizabeth Rex and War of the Worlds, this summer! Austin Lazek claims to be from Tennessee, though his origin story is a windy one. He studied film production and theater at the University of Miami, and has lived in Denver since 2015. Past local credits include The Tempest, Beau Jest, Sleeping Beauty, and Death of a Salesman. This is his second run-in with And Toto too Theatre Co. and he is very excited to be part of the action. When he isn't pretending to be someone else, he is driving his Jeep on crazy-long trips, rating movies on a two-star scale, and teaching all over Colorado. Thanks and enjoy the shows! Harrison Lyles-Smith is an 8th grader at Denver School of the Arts and an Equity Member Candidate Credits: Curious Theatre- Appropriate (Ainsley), Aurora Fox- Priscilla Queen of the Desert (Benji), Aurora Fox- Revenge of the Space Pandas (Boffo), Edge Theatre- Medea (Son), Edge Theatre- Jerusalem (Markey), And Toto Too Theatre- The Playground (Jake). He would like to thank his friends and family for their support. Stephen R. Kramer moved to Denver to go to the University of Denver in 1971 and has worked with just about every theater group in the rocky mountain area. But he is more widespread known for his work at Germinal Stage where this next season will mark his 30th year. He is a board member at Germinal Stage where he holds the title of Assistant Director-Manager. He has worked on more than 200 productions as Actor, Director and/or Designer. Rita has been acting for over 30 years. She has worked across America and also performed in Ireland. She has received several awards for her work and nominated for a Henry award for outstanding performance as an actress in a drama. Rita also teaches acting for youth in Denver and Lakewood including one on one work with both youth and adults. A 8th grader at Denver School of the Arts, Brendan is excited to perform in his first Play Crawl. Favorite roles include himself, Caesar and Henry VIII in The Complete Works of William Shakespeare Abridged, Milo in Phantom Tollbooth, Pinky in Harriet the Spy, Malcom in Macbeth and Bottom in A Midsummer Night's Dream. Brendan also enjoys improv and playing guitar. He is grateful to his family, friends and teachers for their support. Dylan attends Denver School of the Arts and is an Eighth Grade Theatre Major – DSA CREDITS: Romeo & Juliet (Tybalt), Ramona Quimby (Director/TV Actor), “Fixer Upper” (Olaf), Love Labours Lost (Berowne). OTHER CREDITS: Colorado Train Museum - Polar Express (Hero Boy and Billy), Some Assembly Required Improv Team, DCPA – Bard Wars (Emperor/Durlin), Kidstage – Twinderella (Bob), A Hairy Tale (Andrew), Wonka (Willie Wonka), The Princess King (Prince Air Guitar), Porridgegate (Teddy Bear). He would like to thank his family, his teachers, directors, and his dog who have supported him along the way. 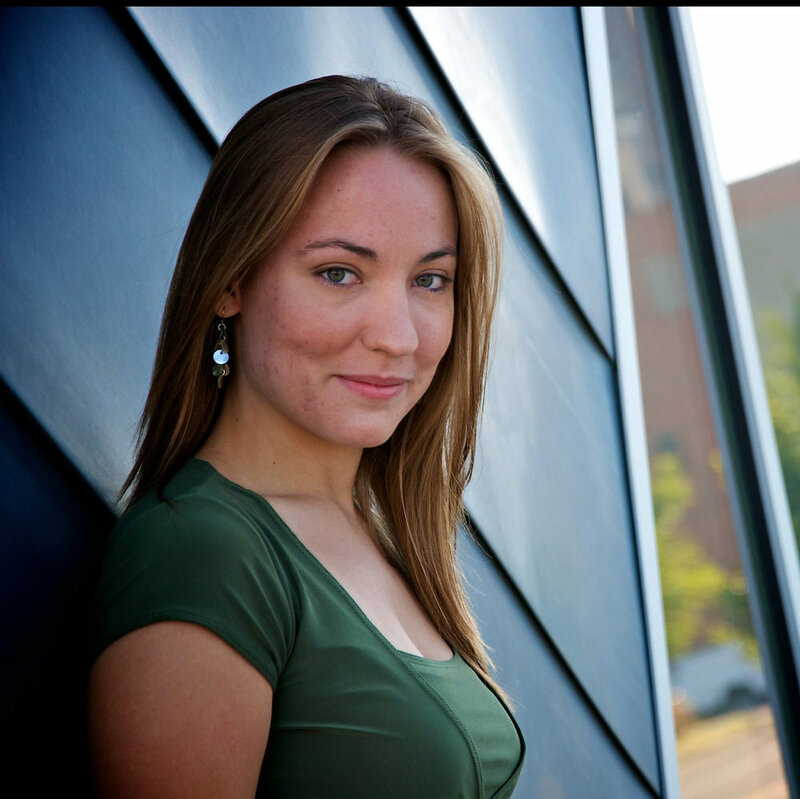 Rachel Finley is a Colorado native who has been active in theatre and film for over 10 years. Some of her favorite roles include Anne in A Little Night Music, Pickles in The Great American Trailer Park Musical and Jazz/Keada in the web series Roles and Realms. Following a passion for fashion and design in 2016 she created her own costuming company named Rachel’s Costume Shop which she hopes to expand in the future to be a resource to other costumers and theatres for costuming their productions. Greg is a newcomer to the Denver theater scene, but has found a creative and supportive home within the community over the past few years. Although his formal background and BA is in film and television production – diligent study within the DCPA Adult Education program has given him the chance to build his acting muscles while appearing in several Master class productions. Most recently Greg was seen in Fearless Theatre’s production of Almost, Maine and The Edge Theater Company’s production of Death of a Salesman. Vicky is a student at the University of Northern Colorado, studying theatre and psychology. She has been in numerous shows around the metro area, and is currently in The Commedia Robin Hood with Arts in The Open. Favorite shows she's been in include Beets, and I Hope We Can Still Be Friends. She is so excited to be a part of the Play Crawl, as she greatly believes in supporting women playwrights and theatre as an art. She thanks you for your support and hopes you enjoy seeing the location-based micro-plays. Germinal’s Six Characters In Search of an Author, and Stage Managed The Gun Show and The Way Station, and South Star for And Toto too. When not hanging around the theater, she can be found outside hiking with the dogs or indoors playing with fiber. I love the idea of Play Crawl – excited to be involved in this again. Past performances include Firehouse Theatre Company (Gross Indecency, The Three Trials of Oscar Wilde), Coal Creek Theatre Company (And Then There Were None). Theatre Company of Lafayette, (Time of My Life) Town Hall Arts Center,(Applause, Company) Theatre on Broadway, (Campaigning) Arvada Center, ( God’s Favorite) CRTC (I Hate Hamlet, Talk Radio) and Spark Theatre (Miracle on 34th St.). Past credits also include her time as a professional performance ASL interpreter, working with Arvada Center, Denver Women’s Chorus, PHAMALY, Rocky Mountain Deaf Theatre and various theatres and performing groups in the Denver area. Kelly is a Denver based actor who has worked on stages across the Denver Metro area. Catch her next October in Boston Marriage at Vintage Theatre. In her spare time Kelly runs her own furniture refinishing business. She loves to take old worn out pieces and give them new life. Check out her work at Little Pig Originals on Facebook and Instagram. Six million things to her Angel, I’m so glad it’s you. After five years, Erica is delighted to return once again to play in the Play Crawl. She was last seen with And Toto too Theatre Co. as Ket in the world premiere of The Greater Good. Most recently, she played Madame de Tourvel in Les Liaisons Dangerouses at Miners Alley Playhouse. Other MAP productions include Miss Erikson in Present Laughter, The Sextuplets in Wonder of the World, and Everybody Else, playing 11 characters, in Mrs. Mannerly (Marlow Award). Other regional roles include Viola/Feste/Maria in Twelfth Night Colorado Shakespeare Festival, Puck in A Midsummer Night’s Dream Stagedoor Theater, Una in Blackbird”Aurora Fox, and The Wicked Witch of the West in The Wizard of Oz Metropolitan Main Stage. She recently taught theatre and english in Indonesia as a Peace Corps Volunteer and enjoys studying non-fictional characters while pursuing her MA in Marriage and Family Therapy at Regis University. Lisa is honored to return to And Toto too, after taking a long sabbatical from theatre. One of her favorite roles was as Anya with And Toto too in the production of The Feast of the Flying Cow...And Other Stories of War. Other favorite roles include: Constanze Weber in the critically acclaimed Amadeus with OpenStage Theatre at the Lincoln Center in Fort Collins, Shirley in Amateur Night at the Big Heart,written by the late great, Terry Dodd and directed with Tony award winner Randy Myler at the Aurora Fox, Streetcar Named Desire at the Germinal Stage in which she received a Denver Post Ovation Readers Choice Nomination and a Marlowe Award for her portrayal of Stella. The Good Body by Eve Ensler at the Avenue Theatre, Norma in Value of Names with Theatre Or at the Mizel, Maxine in Tongue of a Bird with Bas Bleu, and as Karen in the world premiere of the Eric Coble play, For Better at Curious Theatre.